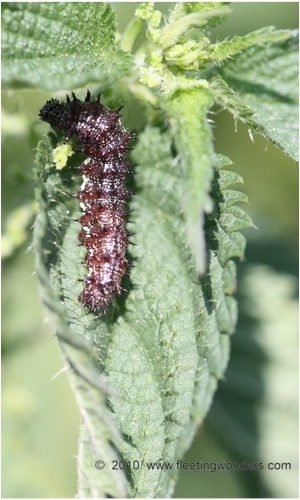 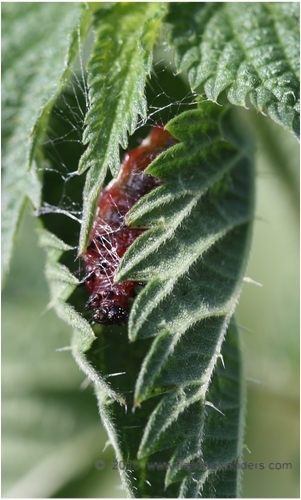 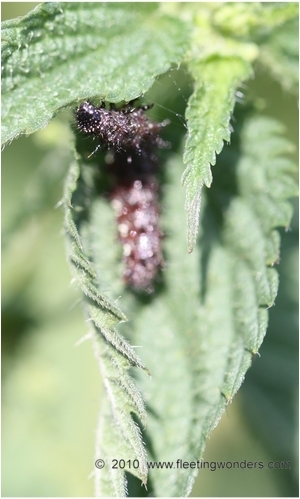 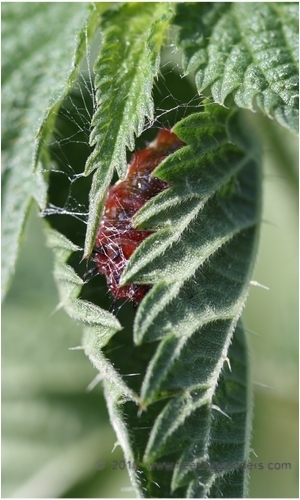 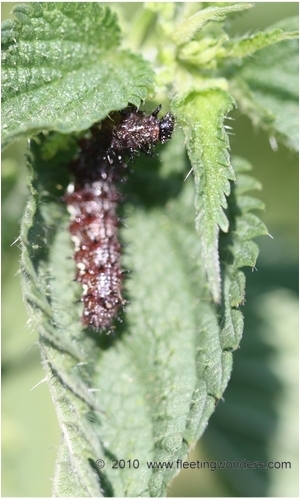 This caterpillar of Red Admiral (Vanessa atalanta) was found on Nettle (Urtica dioica) which is the usual foodplant for this species (August, 2009). 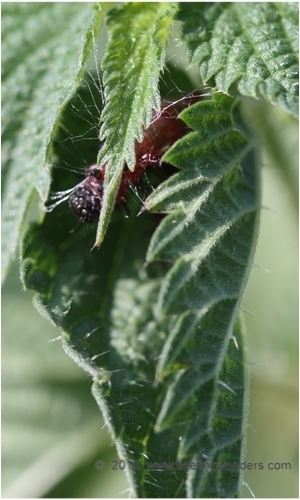 The larva seemed to be roaming on Nettle when it finally stopped on a leaf (near the top of a stem). 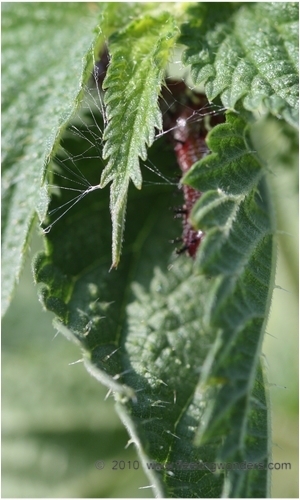 Very quickly the caterpillar started to build a harbor, by folding leaves and linking them with silk. 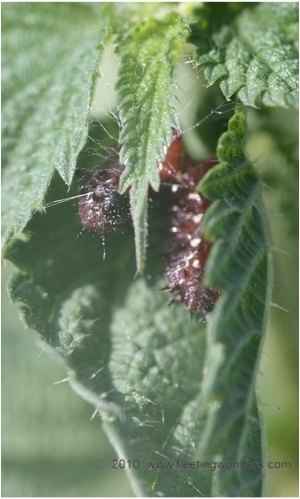 This instinctive behaviour also occurs in the Painted Lady (Vanessa cardui). 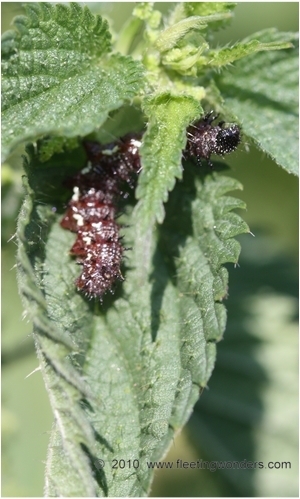 The set of pictures here illustrates the method used by the larva. 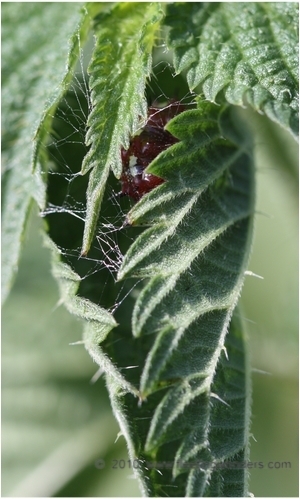 It took only 16 minutes for the whole process to be achieved. 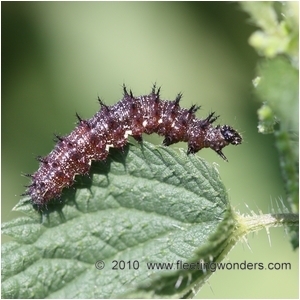 After this job the activity of the caterpillar stopped for a while. 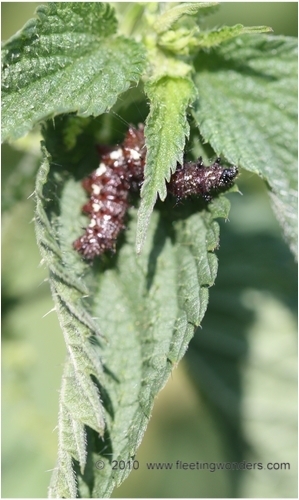 Thanks to this harbor the larva was hardly visible by possible predators and more or less protected against parasitoid wasps.